If good food is the destination, then you’ve come to the right station. 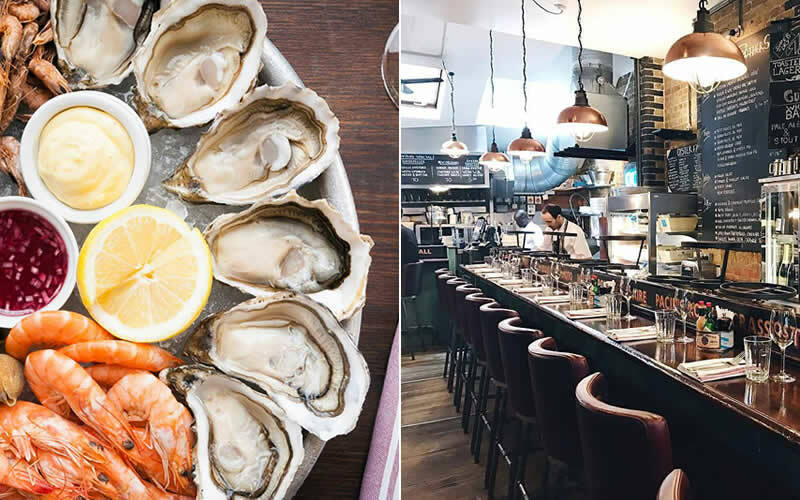 Wright Brothers – Back in 2005, these seafood and shellfish wholesalers thought it’d be a good idea to use their expertise to get Britain’s best sole, whelks, sardines, and the like straight to people’s plates – no digressions. At this branch, next door to Elliot’s, expect anything from shrimp on toast to beef, Guinness, and oyster pie. Roast – A restaurant not afraid to flaunt its Britishness could – especially at current times – rub a few people the wrong way. But Roast have everything to back up their love for local – each menu item is annotated with its origin, from the poultry (Reg Johnson in Lancashire), right down to the jams (England Preserves, based down the road in Bermondsey). 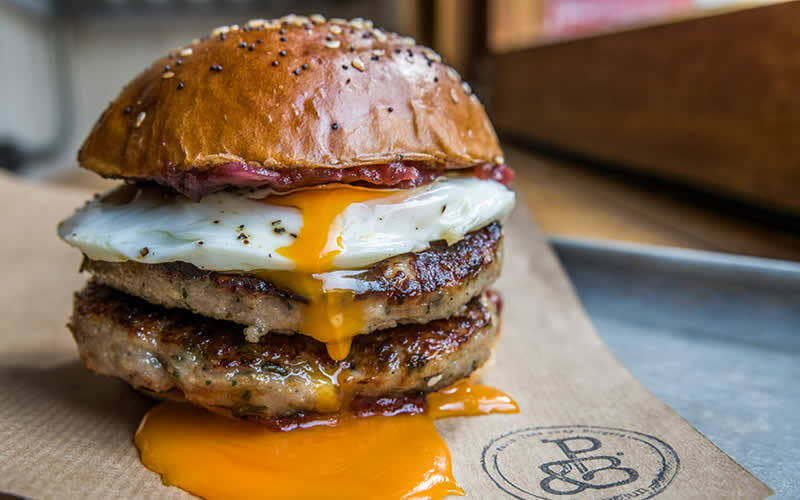 Patty & Bun – The latest addition to the burger empire sports a new-ish breakfast menu alongside its regular one, involving patties in various forms (sausage, bacon, herb omelette) with breakfast sauce. An attractive morning prospect given they’re under four quid. Buns come from Bread Ahead, conveniently situated over the road. Restaurant Story – At Restaurant Story, menus aren’t prepared in so much as – depending on what you fancy – invented on the spot. It’s a novelty which has helped the restaurant scoop plaudits left right and centre since it opened. Not bad for what used to be a public toilet. BOB’s Lobster – The guys who started out operating out of a 1957 VW camper have settled down with a wine bar and restaurant situated in the middle of London’s fourth busiest station. Those hesitating over the long menu should aim their sights at BOB’s signature lobster roll with rapeseed mayo, oregano, smoked paprika and celery salt. 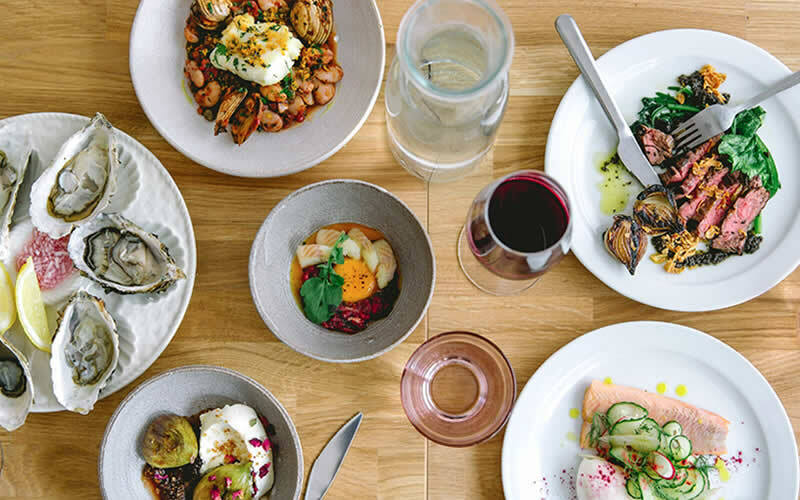 Londrino – On a quiet road in between Bermondsey Street and the station is what some would call a Portuguese-ish restaurant doing very little of the traditional. A welcome thing, as what it does best is well out of the ordinary. Lupins – Tucked away at the back of Flat Iron Square, Lupins isn’t an easy one to find. But a find it is – a small place doing small plates each as good as the other. Bring a friend. Sit at the counter. Order half the menu. It’s the way it should be done. 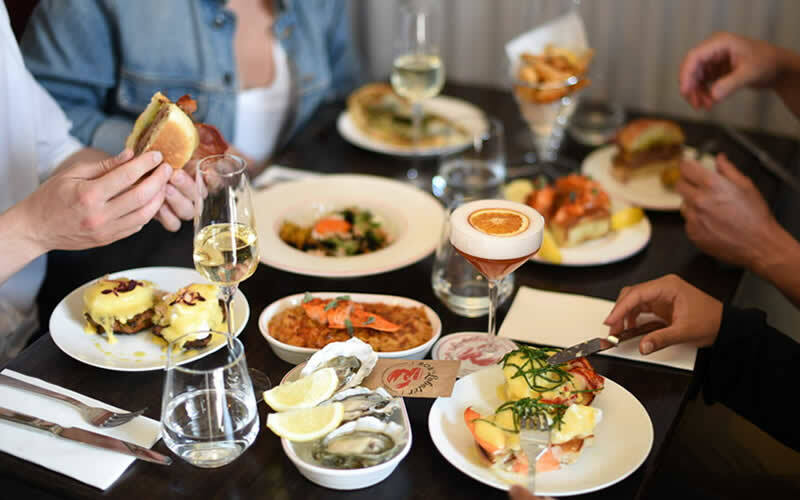 Elliot’s – With its old-school vibes and canniness with the traders who just happen to be situated out front, Elliot’s is every bit the market restaurant. Dishes change regularly, whether it’s the chef’s mood, the time of year, or what’s good, but its quality rarely waivers. 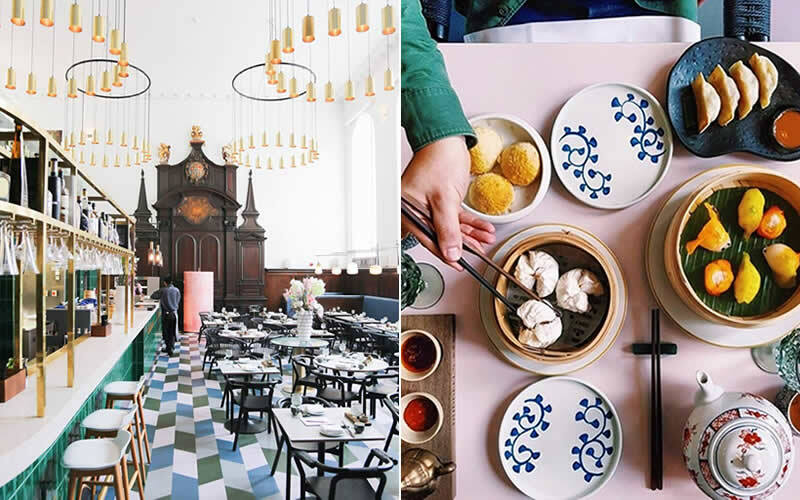 Duddell’s – A spectacular church on St. Thomas Street – essentially outside the station’s back door – happens to house a Cantonese restaurant putting on a spectacular dim sum ‘symphony’. Peking duck also stars. Padella – There is a special place for people who question why they should eat something they can make at home. That place is Padella. Borough Market makes it easy prey for the passing tourist, but when the food is as simple, cheap, and delectable as it is here, you can hardly blame them. 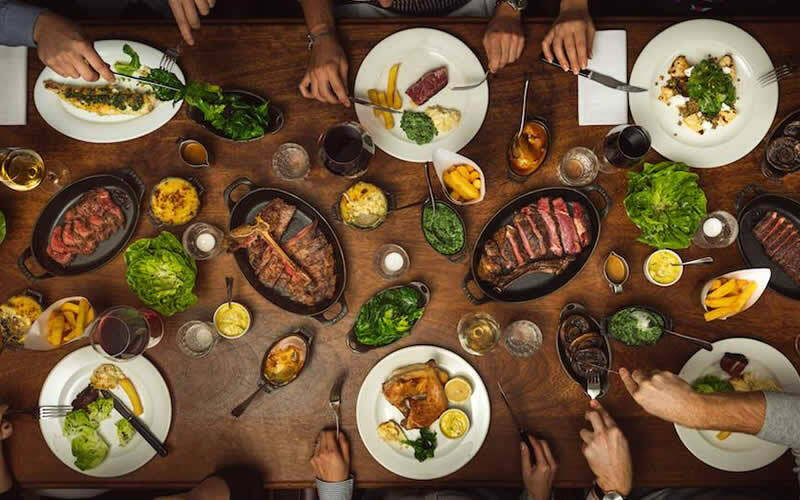 Hawksmoor – London. Edinburgh. Manchester. The expanding steak restaurant chain has a national reputation for dishing up the UK’s best steaks. No doubt it’ll catch on around the world too, starting with New York later this year. El Pastor – The Hart Brother’s first taco-leaning restaurant (incidentally their two new ones are near another major rail station) immediately became London’s hottest taqueria when it opened in 2016. Many will say, despite fresh competition, it still is. Visit OpenTable to discover more restaurants near London Bridge.